Ah! 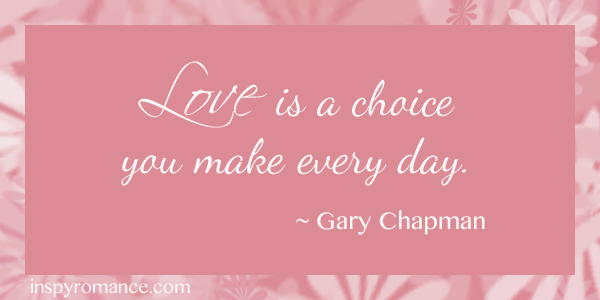 A day of love. Don’t forget every comment today will enter you for a couple of things – both of today’s giveaways and, if you Rafflecopter it, the weekly giveaway as well as the grand prizes of an Amazon card and KINDLE FIRE! See Sunday’s post for more details on that. One bundle of paper books and one of e-books! Be sure to let us know which bundle (or both) you’d like to be entered for. See the bottom of the post for what’s in each one. Bible verses are a great source for quotes on just about any topic! Literature and movies of all kinds offers insight as well. Katherine Reay & Pepper Basham: You pierce my soul. I am half agony, half hope. Tell me not that I am too late, that such precious feelings are gone forever. I offer myself to you again with a heart even more your own than when you almost broke it, eight years and a half ago… Captain Wentworth in Persuasion, by Jane Austen. Krista Phillips & JoAnn Durgin: “You know you are in love when you can’t fall asleep because reality is finally better than your dreams.” – Dr. Seuss. Poems and songs have often inspired! But some of us found our favorite quotes other places! 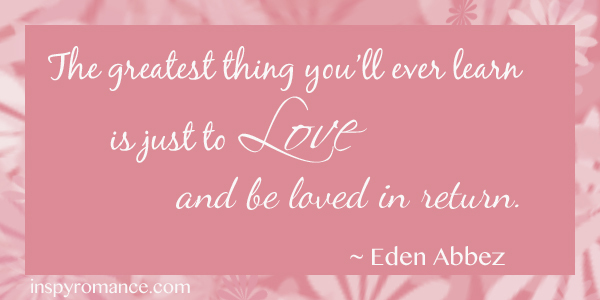 What is YOUR favorite quote about love? 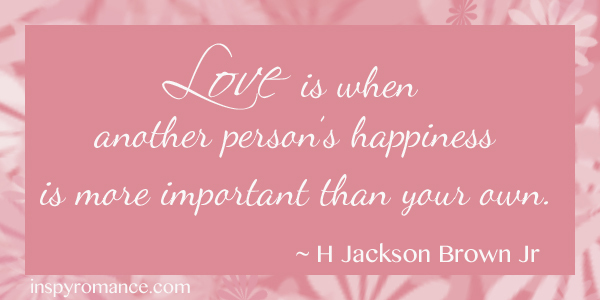 Happy Valentine’s Day :) I loved reading everyone’s quotes. Good luck to all our readers in the drawings – the book prize packs look fabulous! Please enter me in both giveaways (eBooks and paperbacks). Thank you! LOVE all the quotes on LOVE. John 15:13 is my favorite It says a lot! Reminds me of what my hubby says about the years he served his country in Viet Nam in the late 60’s. I would like to be entered in e-book giveaway.Thanks and Happy Valentine’s Day! This is so great . A lot of good books . Please enter me in the giveaway for the ebooks and paper books . Wonderful Article Carol! I love the quotes on love (especially Shakespeare’s sonnet 116 since it was used in one of my favorite love stories Sense & Sensibility) & can’t wait to use a few of them myself! My favorite quote on Love is I Corinthians 13. I also loved the quotes on this page. I would love to be entered in both the book and e book bundles. Happy Valentines. Hi, everyone!!! Such great quotes, aren’t there?! So fun! I have to admit that I love (haha!) 1 Corinthians 13. Our son read it at our daughter’s wedding. So beautiful! 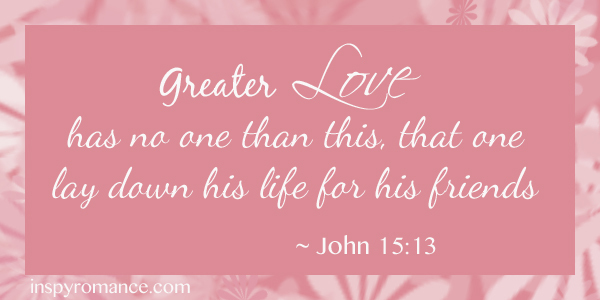 I would say John 15. where it say not greater love then a man lay down his life for another. Love to win. I loved all the quotes about love. This is such fun. So many great quotes…And so many comments — I love it when you stumble upon a place where folks stop, stay and chat awhile. So thrilled this is becoming such a place. Happy Valentine’s Day, ALL! Ahhh, love! 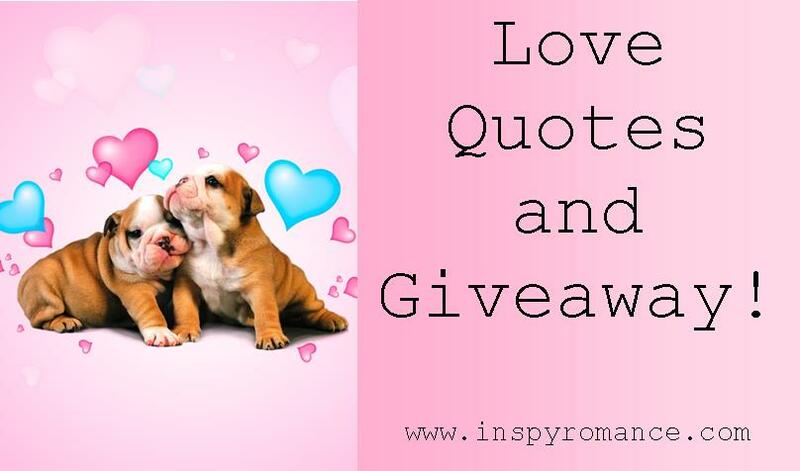 Love the quotes, and the giveaways! I’d like to share a quote from a song (“To The One”) I wrote for my sons to keep in mind as they are searching for that special someone to share their life with; for my husband; and ultimately to Jesus thanking Him for my spouse: “Moving slowly, listening closely, is this the one for me? Emotions at new heights, everything feels right, my heart’s awakening. To the one who came into my world, and fits perfectly, and I’m thankful that I waited for the right one for me.” – Sally Meadows. Please enter me into the draw for the book package. Thanks! Good luck to everyone entering in the giveaways! I love the Nottinghill quote, but even more I like: You had me at hello. I guess that one means so much because that’s actually how I felt about my husband. Our anniversary is Monday (17), we have been married for 35 years. Love is amazing. Such fabulous quotes! But I have to admit – I loved the sweetness of Piglet and Pooh. :) Great way to pull all this love together, Carol. What a wonderful collection of quotes!! I especially love, “True love stories never have endings.” My husband and I celebrate our love story today with our 13th wedding anniversary. I would love to be entered in both giveaways. Thanks so much! Happy Valentine’s Day!! !